The Civil Defense monthly test of the statewide outdoor siren warning system, coordinated with the test of the live audio broadcast segment of the Emergency Alert System, is scheduled for Thursday, February 1, 2018, at 11:45 a.m. The warning sirens are used to alert the public to emergencies. 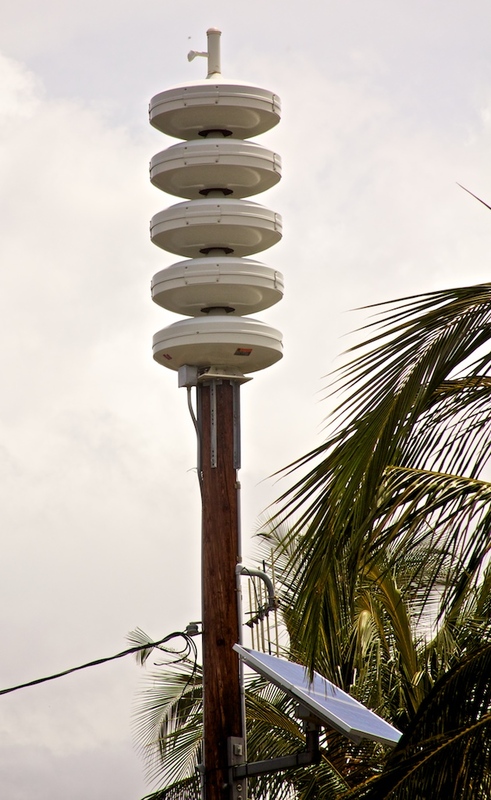 During this test, all warning sirens will sound a one-minute Attention Alert Signal (Steady Tone) followed by a one-minute Attack Warning Signal (Wailing Tone). The Attention Alert Signal informs residents to turn on a radio or television for information and instruction for an impending emergency, or if in a coastal inundation area, evacuate to higher grounds. The Attack Warning Signal directs residents to seek immediate shelter and remain sheltered in place until an all-clear message is broadcasted over radio or television. More info on the ‘Attack Warning’ siren here.